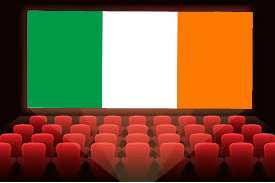 With St Patrick's Day just around the corner and a steady supply of quality film currently being produced by this artistically rich country of ours , I thought now might be a good time to shine a light on the incredibly talented filmmakers and features that this great country continues to produce and where better to start than to sift through the annals of Netflix to pick out 5 such gems to enjoy before March 17th for those of us overcome with national pride! Simply a joy of a movie from start to finish, this Golden Globe nominated feel good musical from director John Carney is bursting with heart, charm, optimism and accompanied by a killer soundtrack. This is one that can be enjoyed time and time again! One of the best Irish movies of 2017, this Mark O'Connor directed film enjoyed high critical and awards acclaim on it's cinematic release, driven by a strong performance by co-writer John O'Connor in this tale which follows a group of wannabe gangsters as they attempt to gain control of the drug trade in Darndale. Read my full review here. After the success of The Stag, director John Butler follows up with the highly enjoyable Handsome Devil, a movie dealing with the unlikely friendship between two totally different boys at boarding school. Andrew Scott almost steals the show as teacher Mr. Perry but overall a very enjoyable comic drama! Read mu full review here. Hilarious comedy caper that that has now become a very successful TV show. Witty dialogue and strong performances by the two lead actors add up to deliver one of the funniest Irish movies in years. Written and directed by John Michael McDonagh and featuring a stunning central performance from Brendan Gleeson, this highly intense and compassionate, as well as at times extremely funny feature rightly received high critical acclaim on it's initial release.